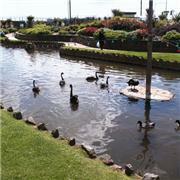 Check out places to stay in Dawlish by visiting our tourist information pages. Find out about the beaches in Dawlish, the town centre and what's on in the area. Check out places to stay in Dawlish Warren this summer. Find out more about Dawlish warren, the beach resort and the nature reserve.